If you’re looking for things to do in Bryce Canyon, then here are the top 5 things we’ve compiled of what you absolutely must do on your visit. They vary from hiking, to mountain biking, to just sitting back and seeing the incredible views offered by Bryce Canyon National Park. The Rim trail gives you the opportunity to see so much that Bryce has to offer, including the main amphitheater. If you hike the entire hike it’s 5.5 miles one way. There is however a section for those looking to skim the hike and just see the easy section, that’s located between Sunrise and Sunset Points. But secretly the best point of the Rim Trail is a section between Inspiration and Bryce Points. This is because it has the most fantastic view from a section know as Upper Inspiration Point. If you’re going to do Bryce, you need to do the Rim Trail. When looking for things to do in Bryce Canyon, mountain biking must be on your list. If you’re up to it the Thunder Mountain Trail is an absolute gem. If offers a fantastic trail to ride, with uncompromised views of the hoodoos. You can take it on as a scenic loop, a serious hill climb, or a downhill adventure. But before you tackle this trail make certain you’re experienced and comfortable enough riding on loose surfaces because it can get sketchy at times. But this is arguably one of the better mountain bike trails in all of Utah. This trail is without a doubt the best way to see the hoodoos of Bryce Canyon, up-close and personal. 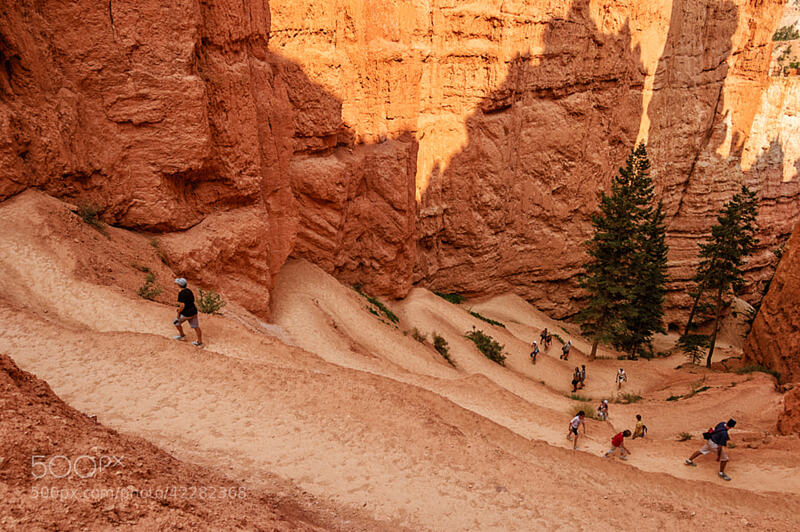 The hike isn’t for the faint of heart as you’ll descend into the canyon itself, but what you’ll see is a Bryce Canyon that you just can’t see from the top looking down. The hike is 3.5 miles and takes approximately 1 -3 hours to do. The iconic switch back photos you’ve seen of Bryce are found here (see below). The views that you’ll be greeted with of Sunset Point and The Rim trail area absolutely heart stopping. Once in the park take the drive, drive the entire 18 miles stopping at every look off point you can find (there are 13 in total). If you hit all 13 of them it should take you anywhere from 2-4 hours, depending on how long you stay at each of them. Make certain you bring plenty of space on your SD cards, because each spot will have something different that you’re going to want to capture a picture of.